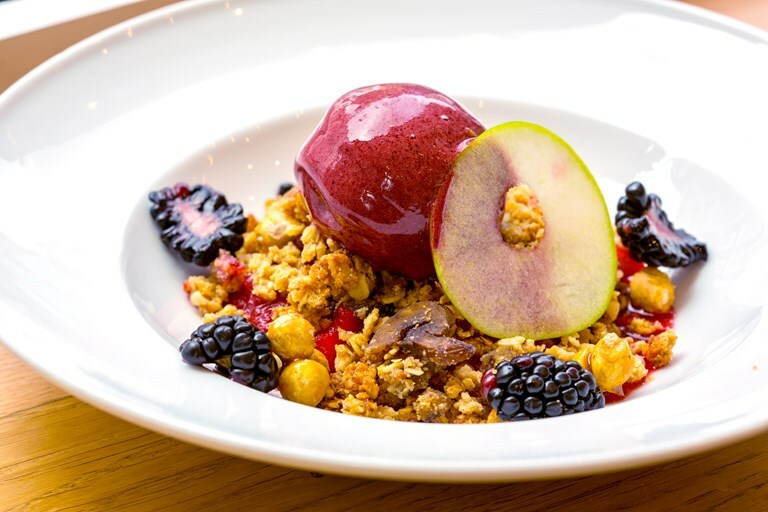 Anna Hansen re-imagines an apple and blackberry crumble recipe in this stunning dessert. She serves a delicious nut crumb atop a blackberry and apple compote, and finished the dish with a blackberry and liquorice sorbet for a real feast. If preferred, you could skip the sorbet and serve the dish with cream of crème fraîche. Whether you call it 'fusion', 'global' or 'basically indescribable' is beside the point; Anna Hansen's food is without a doubt fresh and adventurous - you might even call it modern.